I used to think wearing perfume was not important at all. I mean, smelling like my favorite body wash was—and still is—fine by me. But, there was this day when I was out with one of my girlfriends, she greeted me with a warm hug, and at that very moment I noticed something: she smelled GREAT! So great that I felt like hugging her a lil bit longer hahahaha sounds creepy, I know! I have ex-boyfriends who smelled great too, and I absolutely loved it, but it didn’t encourage me to wear any perfume. I guess us women get inspired the most by other women? 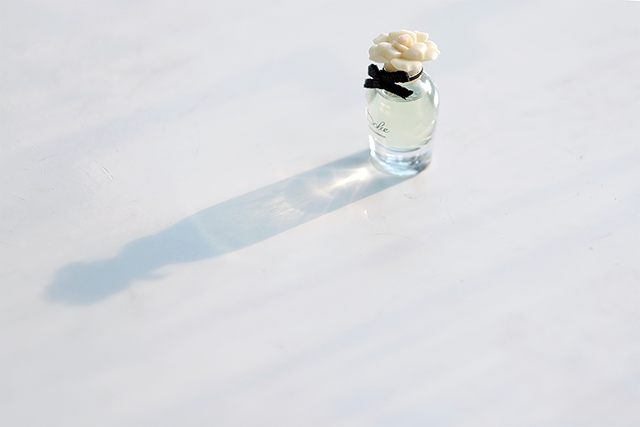 Smell leaves a strong impression, perhaps stronger than any other senses. And smelling great leaves a good, lasting impression. But still, I’m not big on wearing perfume. I think it’s simply because I don’t have the reflex? I only wear it when I’m about to go to formal events or special occasions, like wedding or big dates (first date, Valentine’s, etc). That’s why it’s such a waste for me to buy a normal size perfume. 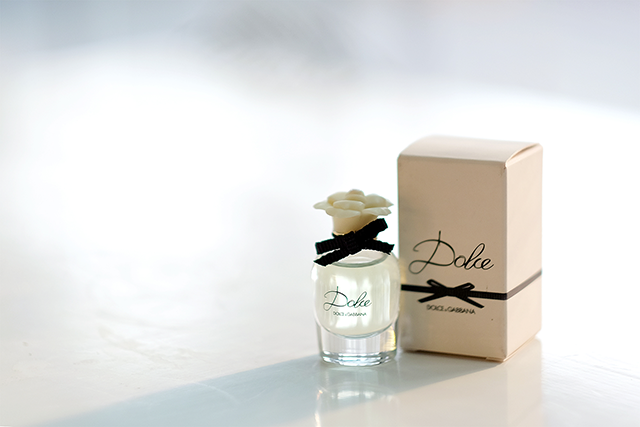 I much, much prefer MINI PERFUME! Let’s start with my most favorite among all! The simple, classy design certainly adds some points! 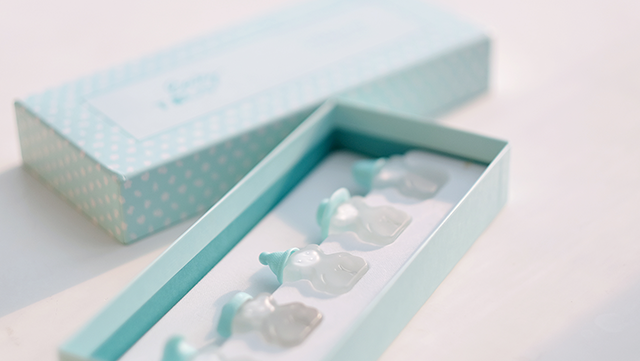 Just like the name and the design, the smell is kind of similar to a baby’s smell… clean, powdery, and light. Suitable for kids, but still wearable by an adult. If you’re pregnant and cannot stand strong fragrances, you should try this one! 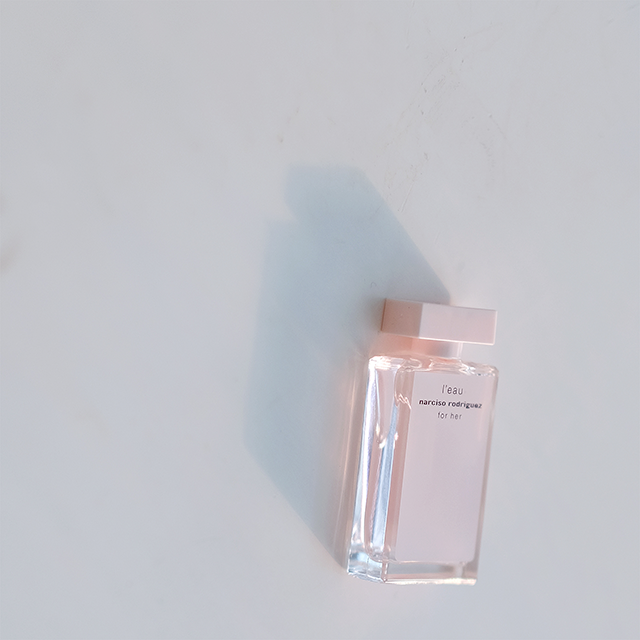 As you might have guessed by the look of the bottle, Dolce by Dolce & Gabbana has a feminine, floral scent (mix of white flowers to be exact), but it’s more of an elegant and sensual feel than Elie Saab. I usually wear it when I dress up formally. Last! This simple looking Eau de Toilette. It lasts longer than Baby Tous, but not long enough either. 1. 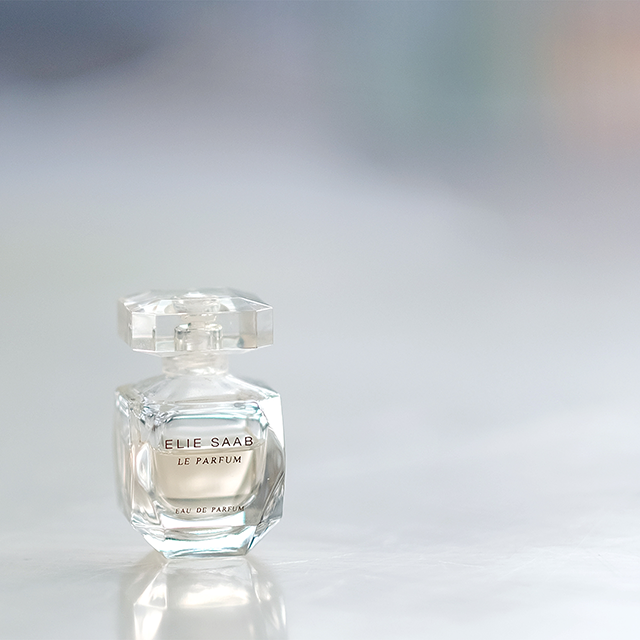 Perfume, 2. Eau de Parfum, 3. Eau de Toilette, and 4. Eau de Cologne. But on the bright side, usually Eau de Toilette and Eau de Cologne are cheaper than Eau de Parfum. Spray or put a little on your wrist. • Hair is a good spot for holding scent, but don’t spray or apply too much as the alcohol in perfume can be damaging to your hair. • Store your perfume in a cool, dark, and dry environment. Avoid direct sun exposure. Thank you for reading and see you in my next post! Ah .. kapan jumpa fans cik ..
supeerrr cute!! love the minis, they are all oh-so convenient! semoga saya dan anda sehat selalu dan dimudahkan rejekinya. Salam Kenal ia. How and Where to Apply Perfume? I really enjoy to read this post and got many information. Here is more info and discount perfumes for women. 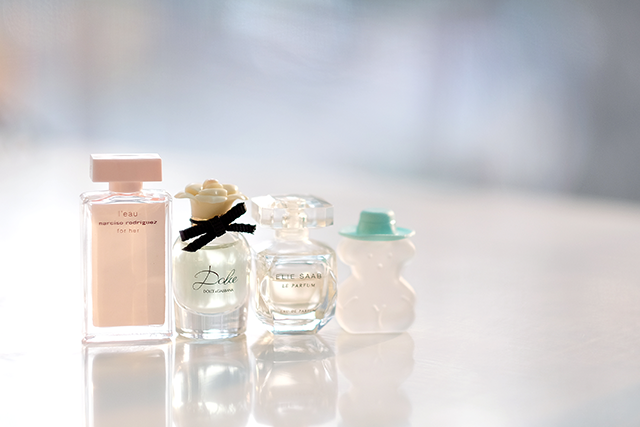 Cute perfumes!i love your style so much.